We’ve talked pretty extensively on Blister about Salomon’s men’s touring boots, which include the S/Lab MTN (aka, the MTN Lab), the MTN Explore, and the S/Lab X-Alp, and now it’s time to take a look at Salomon’s women’s touring boot, the MTN Explore W.
I had the opportunity to test these boots in just about every type of snow, on both short and long tours, and on long lift-serviced days. 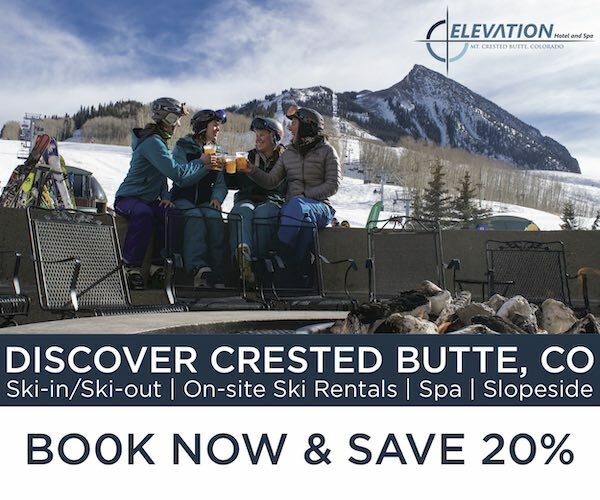 After over 25 days in them, I think the MTN Explore W has several important characteristics that make it a good option for women looking for a touring-specific boot. That’s a pretty nice, succinct description, and I’ll touch on each part of that description in the sections below. 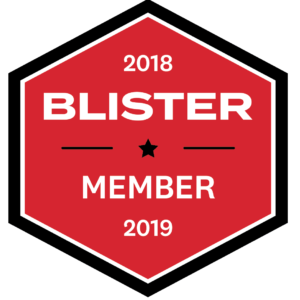 As always, we highly recommend working with a trusted boot fitter when purchasing new boots. But with that said, I can comment on my own experience with the fit of the MTN Explore W.
For reference, my feet are average in width with a medium-to-low arch. There is little difference in the width or arch of my foot between sitting and standing, meaning my arch does not collapse much when in a boot or while walking. I do have a slight overpronation, somewhat limited mobility in my ankles, and my ankles are a bit wider than average. My feet fall between a 23.5 and 24.5 in most boots, and I prefer not to cram my feet into a smaller boot if I’ll be wearing it for long days of walking / skinning in the backcountry. So, I tend to wear a 24.5 in AT boots and a 23.5 in alpine boots. With that said, most size 24.5 boots typically feel a bit too big for my feet. For the Atomic Hawx Ultra XTD 110 W (which I tested in a size 24.5), I used the included plastic inserts which fit underneath the liner to raise my foot and take up some of the “vertical” volume inside the boot. The plastic inserts decreased the extra volume enough to give me a great fit in the Hawx XTD 110 W.
For the MTN Explore W, I added aftermarket footbeds to reduce some of the volume in that boot. The heel pocket, toe box, and general volume of the MTN Explore W are all noticeably wider than the narrower Hawx Ultra XTD 110 W (despite both boots having stated lasts of 98 mm). 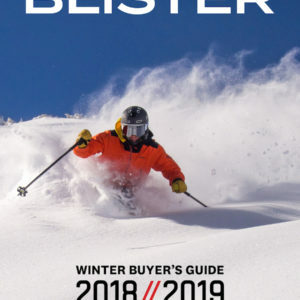 Although the fit on the MTN Explore W was still looser than the Hawx, I achieved a comfortable fit after adding the aftermarket insoles, and I haven’t had any issues with blistering (which is in contrast to our male reviewers, who all had some issues with blisters in the men’s MTN Explore). One major difference between the MTN Explore W and the Hawx Ultra XTD 110 W is how easy the two boots are to put on and take off. As much as I like the performance of the Hawx Ultra XTD 110 W, it is a bit tricky to get on and off (though the more substantial production liners have made this easier compared to the very flimsy pre-production liners). 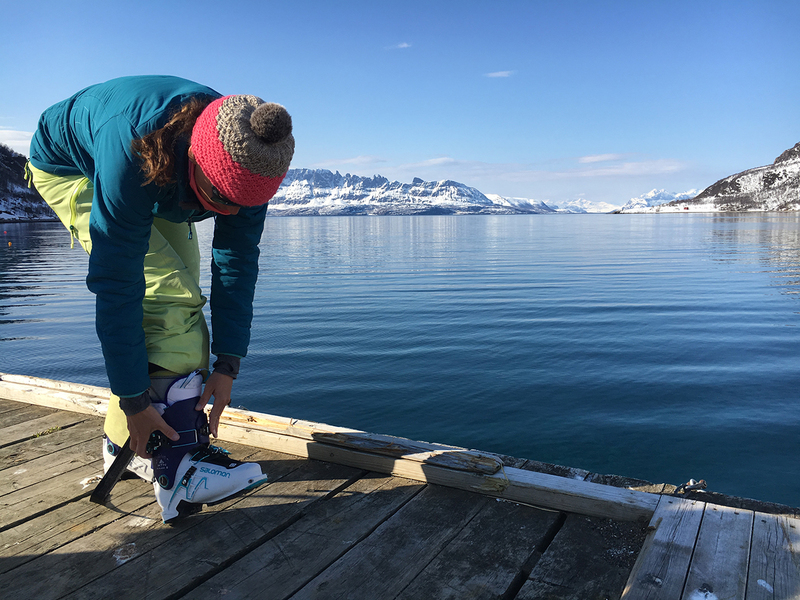 The MTN Explore W is completely the opposite — it’s very easy to put the boot on and take it off. 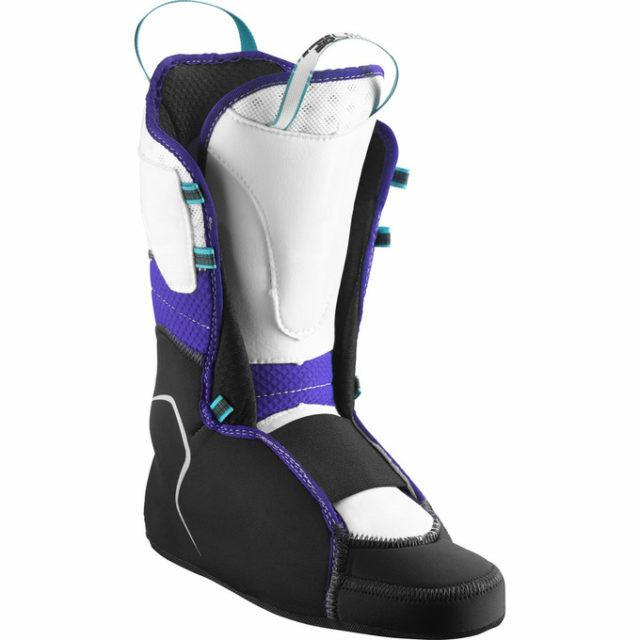 The MTN Explore W features two buckles with a standard upper buckle and a lower buckle that is reversed so that it closes toward the inside of the boot. We’ve come to like this buckle layout as it helps prevent the lower buckle from catching on rocks while scrambling. The MTN Explore W has an extra latch on the top buckle to keep the bail engaged while touring. Personally, I’m not overly fond of this latch as it often gets in the way when I try to unbuckle or buckle the boot. The MTN Explore W’s powerstrap is quite narrow (35 mm) and doesn’t add much stiffness to the flex. A unique design element of the MTN Explore W is the soft textile material that replaces the hard plastic shell over the top of the toes and instep area. Though it concerned me a bit at first, I haven’t found the textile material to detract from the performance, warmth or waterproof qualities of the boot, so no complaints there. 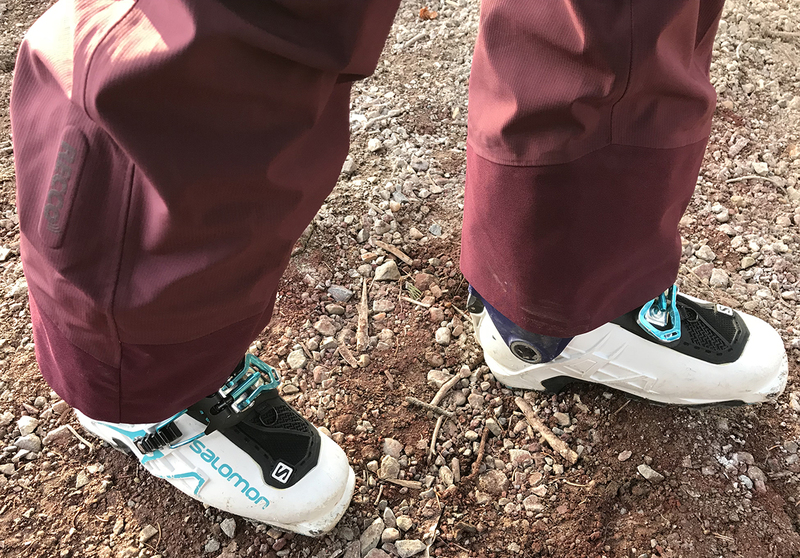 The MTN Explore W’s liner is thin with very little padding against the shin, and this is noticeable while skiing with a forward stance. The MTN Explore W’s liner is fairly similar to the pre-production liner in the Hawx Ultra XTD 110 W, but the MTN Explore W’s liner doesn’t collapse when getting in and out of the boot. Compared to the production liner of the Hawx Ultra XTD 110 W, the MTN Explore W’s liner is a bit thinner. The tongue of the MTN Explore W’s liner tends to move side-to-side very easily, and although it isn’t noticeable when ascending, it’s very noticeable if the tongue is not properly realigned prior to the descent. The liner is equipped with loops for laces, but even after adding laces, I still had issues with the tongue moving. The MTN Explore W features the same internal walk / ski mode as the S/Lab MTN and men’s MTN Explore, with a lever that flips left to right to switch between modes. The lever is easy to use and I didn’t have any problems switching between the two modes (though it is necessary to move the boot back and forth a bit to get the shell to click into place). I haven’t had any issues with the boot going in or out of ski mode unexpectedly. It might be due to the larger volume of the MTN Explore W compared to the Atomic Hawx Ultra XTD 110 W, but I’ve found the MTN Explore W to be a bit warmer than the Hawx. I’ve had no issues with cold feet in the MTN Explore W, and the soft material on the top of the boot did not result in any cold air seepage. The MTN Explore W is a lightweight boot (~1250 grams for a 24.5) with a large range of motion (63° stated ROM). I have found this boot to be extremely comfortable while touring. 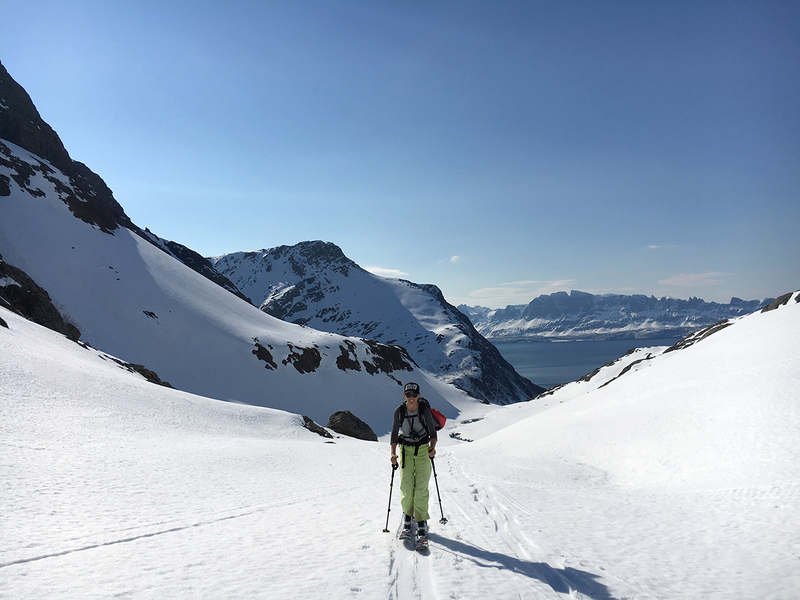 Thanks to the large ROM, medium overall volume, and softer flex, it is easy to walk comfortably and naturally in the MTN Explore W. Compared to the Hawx Ultra XTD 110 W, the MTN Explore W feels a bit better to me while touring, allowing for a more natural stride. As the MTN Explore W fit my foot right out of the box, I opted to not have any work done to it, and was able to go on a long tour right away without any issues. 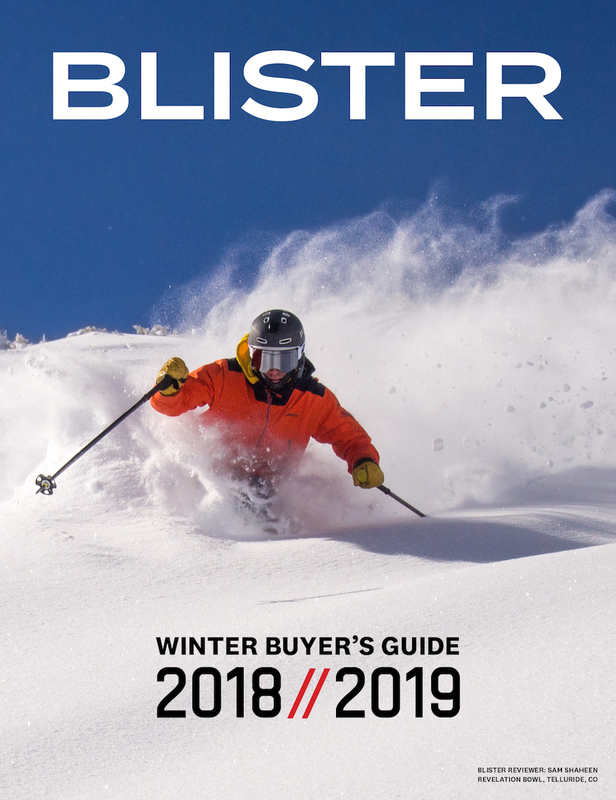 The MTN Explore W is fairly soft (it has a stated flex of 90), and advanced to expert skiers looking for an AT boot to really charge on the downhill might want to look elsewhere (the Atomic Hawx Ultra XTD 110 W is a better option for this). Between the thin liner and the shifting of the liner’s tongue, the MTN Explore W can be a bit painful against the shins when skiing with an aggressive, forward stance in variable snow conditions. Before each descent, I found it necessary to adjust the tongue back in its proper place. But even with the tongue correctly positioned, you can still feel the shell through the liner when flexing into the boot, which I haven’t noticed with other touring or alpine boots I’ve used. With all that said, the MTN Explore W is still a competent boot on the descent. While I personally prefer a stiffer boot, I was pleasantly surprised by how well these boots handled steep, technical terrain. They still feel precise and responsive, just not very stiff. 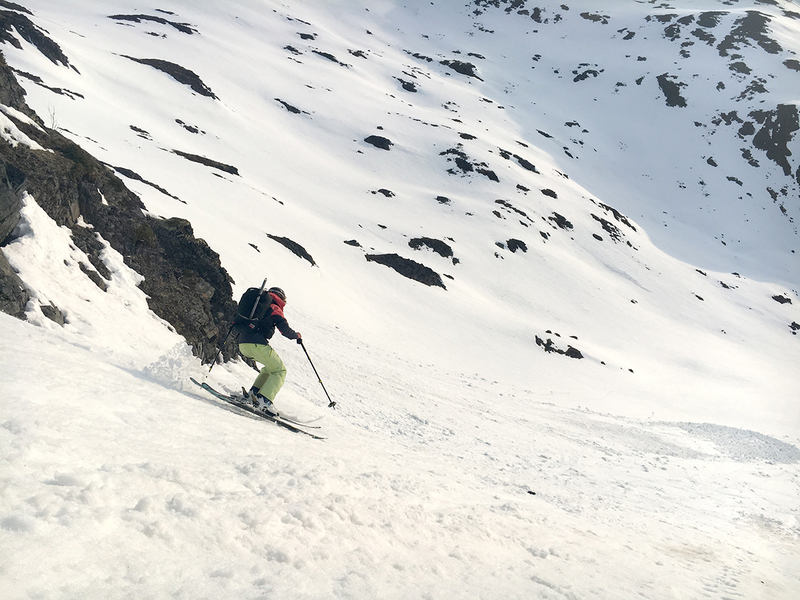 And although I wasn’t able to ski in the MTN Explore W as aggressively as I could in the stiffer Hawx Ultra XTD 110 W, the MTN Explore W wasn’t so soft that I had to shy away from more technical lines while using it. 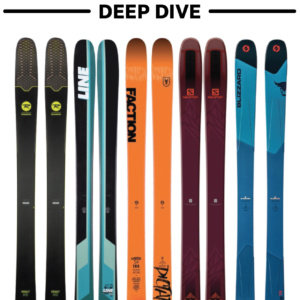 I think the MTN Explore W would definitely be a good option for skiers that don’t need the additional stiffness of a 100+ flex boot. After more than 25 days in it, the MTN Explore W is holding up well. There has been some noticeable scuffing of the shell, but it has all been cosmetic. I’ve used the MTN Explore W to traverse miles of rough terrain and the Vibram soles have held up remarkably well. I’ll report back if I notice any durability issues in the future. 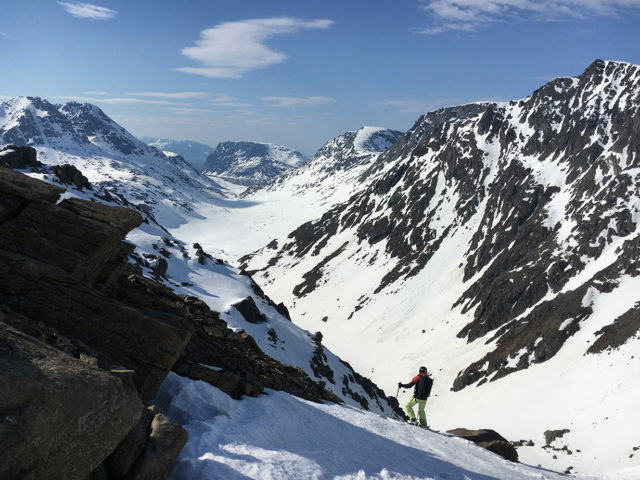 Kristin Sinnott giving the MTN Explore W a thorough test in Norway. 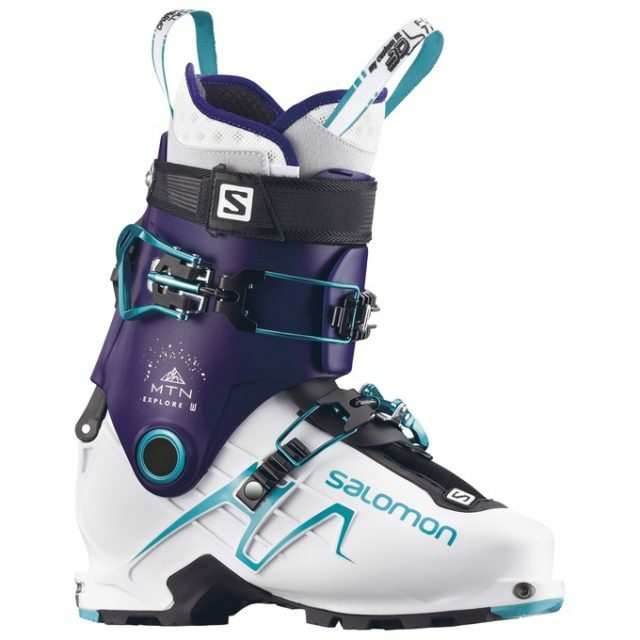 For anyone looking for a women-specific AT boot that has a fairly generous fit, is lightweight, has plenty of ROM, and provides enough support to get down more technical terrain, I recommend checking out the Salomon MTN Explore W. It’s not the stiffest boot in this class, but it falls nicely between stiffer AT boots like the Hawx Ultra XTD 110 W and super-soft, ski-mo type boots, making it a good option for a variety of skiers. And for the 18/19 season, the Salomon MTN Explore W gets updated with a heat-moldable shell, which is notable if you tend to have tricky fit issues with your ski boots. I got the Salomon MTN Lab Tour unfortunately it does not have this downhill performance I expected. I always tend to get in a backseat position during Skiing. Any modifications to change that?